Here are two close ups from a needlepoint project I’m almost finished with. 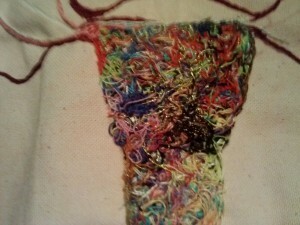 I wanted to create something that represents the changes going on in my body as I go through menopause. What will happen to my eggs and my art when I’m done?